Asphyxia or suffocation if it is one of the leading causes of death or severe birth defects. It is caused by a reduced supply of oxygen. Asphyxia is the worst stage so. Hypoxic-ischemic damage to the fetus. Nejmírnějšímu stage called hypoxemia, followed by hypoxia and asphyxia is usually the last stage, which if not quickly reversed, leading to damage or even death of the newborn. According relation to birth hypoxia can be distinguished as hypoxia, which was formed before birth(antepartal) for delivery (intrapartum) or after delivery (postpartum). In 90% occurs prenatally, postnatally the remaining 10%. After asphyxial episode may result in complete recovery, but also severe disability with neurological sequelae. Healthy fetus has plenty of adaptation mechanisms to protect their vital organs. The damage occurs when they are exhausted adaptation mechanisms. 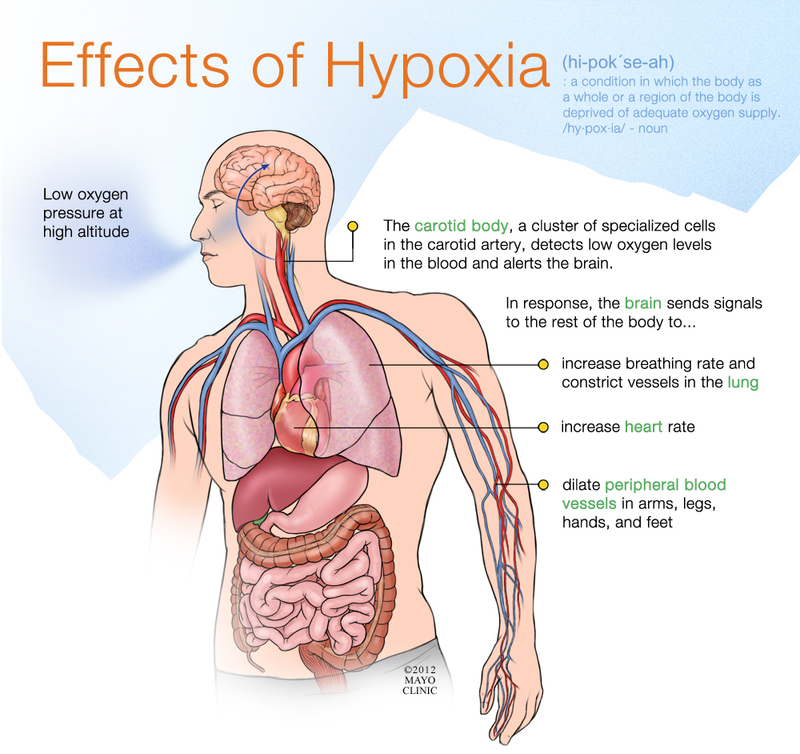 Damage called hypoxic-ischemic, because there is a limited supply of oxygen but also later exchange of carbon dioxide and other metabolic products. It depends on the speed of recovery of oxygen. If it happens quickly, it is reversible condition. Fortunately, these cases are the majority. Show only heavier postpartum adaptation, lower Apgar score. However, they react well to resuscitation and usually survive without serious consequences. The incidence of severe asphyxia in term neonates, which is irreversible neurological sequelae is given 20 to 40 cases per 100,000 births. 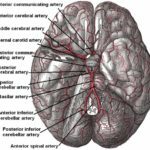 Apart from the brain response to oxygen deficiency as well as other tissues, such as kidney, lung, cardiovascular system, gastrointestinal system. According to the duration of the oxygen deficiency distinguish between acute and chronic hypoxia. It is most commonly caused by a malfunctioning placenta. This occurs for example bytransferring, ie. pregnancy lasting more than 42 weeks. Another example is repeated compression for example in the umbilicus oligohydramnios, ie. lack of amniotic fluid or maternal systemic diseases which are related to inadequate oxygenation of the blood such as anemia. Very serious condition are hypertensive disease of pregnancy, also exhibit insufficient perfusion of the placenta.Some congenital malformations of the fetus or the lack of growth in the uterus may also have this consequence. It occurs most often in acute conditions such as umbilical cord complications or premature separation of the placenta. The fetus responds to her several strenuous breaths, followed by primary apnea bezdeší. Followed by regular strenuous breathing – gasping. For reducing the rate of breathing your breath for about 5-10 minutes after the final stops breathing called GASP. Then comes the so-called. Secondary apnea. After the last inhalation may persist heart rate for 10 minutes. The success of resuscitation is dependent on the phase of hypoxia when it is started. The sooner the better. Is very dangerous annealing acute hypoxia chronic, involving a shortening of the time may still occur rescue fetus. Also generally true that the fetus is riskier (IUGR, congenital malformations, prematurity ..), the harder fights with hypoxia. It is caused by a lack of developing resistance mechanisms and their gradual exhaustion. Causes of perinatal asphyxia are numerous. We can be distinguished according to whether they are causes of maternal, fetal, or both. 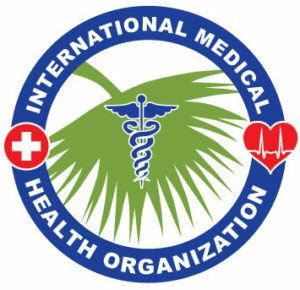 It’s as impaired maternal oxygenation for heart, lung disease, poor placental flow due to low or vice versa maternal high blood pressure, abnormal uterine contractions. Furthermore, it can be a compression of the umbilical cord, knot to the umbilical cord, premature separation of the placenta, placental aging. By the fetus, it is then for example heart failure in congenital heart defects, rhythm disorders, severe anemia, neonatal sepsis, pneumonia, severe immaturity associated with RDS (respiratory distress syndrome), pulmonary hypoplasia and more. 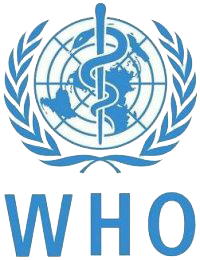 Gold standard prenatal detection of fetal hypoxia is called. CTG – kardiotogogram. It is a method which uses electrodes detects the heartbeat of the fetus and the intrauterine pressure while the mother. The record contains a curve, which are recorded uterine contractions. Above it is a curve fetal movements and up to then record the heartbeat of the fetus. CTG is assessed baseline fetal heart rate, which ranges from 110 to 150 beats per minute. Furthermore, the deflection upwards – downwards acceleration or deceleration. Deceleration are several types. At physiological recording should not appear. May be a reflection of the inadequacy of the placenta, umbilical cord strangulation. Not valid but that always means a serious condition. One last thing we evaluate is oscillating band. Ie. as basal rate changes during recording. Healthy fruit should have a variation in heart rate 10 to 25 beats. In practice it is used in the physiological pregnancy NST – non stress test, ie. CTG recording lasting about 20 minutes. The record may be physiological, suspect (suspect) or pathological. If it is suspected CTG continues with the addition of oxytocin, a hormone that induces increased uterine contractions and thus the effect on the fetus reacts them (ie. The oxytocin stress test). If the record is a pathological pregnancy after consultation with neonatologists terminated. For each variable are counted up 2 points. Fruits with less than 6 points are considered risky. Doppler ultrasound examination of blood vessels of the placenta is increasingly used method. It is determined by the so-called. Pulsatile index – PI, which determines the resistance of blood vessels of the placenta. Resistance placenta should be in the second half of pregnancy decrease. If pulsatile index greater than 1.2 indicates that the pathological process. Intrapartum pulse oximetry oxygen saturation values fetal blood at birth. It is physiologically lower than in adults. It is about 60%. It depends on the time of birth. Border pathology is the oxygenation of 30% over 10 minutes. ST analysis evaluates the hypoxic changes in the ST segment on the ECG of the fetus. Curve when hypoxemia first elevuje, it means increased activity of the heart muscle, which is thus trying to cope with reduced oxygen supply. Despite the biphasic wave is then ST decreases and there is a depression, which usually means hypoxic fetus. The Apgar score is an international evaluation of postnatal adaptation of the newborns. Shall be assessed according to skin color, heart rate, breathing rate, reaction to irritation, muscle tone. For each function receives a newborn 0-2 points. Maximum is 10 points. Evaluation takes place in the first, fifth and tenth minute after birth. In acute hypoxia is considered an important outcome Apgar score in the 5th, 10th, 15th and after 20 minutes under 3 points. For evaluation birth asphyxia is significant pH of umbilical cord blood collected at birth, which is lower than 7. Normal pH newborns at birth is over 7.2. Other parameters are Base excess (decrease bases), which is a measure of acidosis and Past hypoxia and lactate (lactic acid), which of the normal values (3-5) can u hypoxic fetus even exceed the value of 10 mmol / liter. 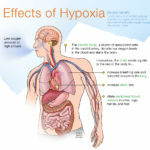 The most common organ affected is the brain hypoxia, which is the most demanding in nutrients and also important for the management of other organs. When severe asphyxia occurs because the centralization of circulation. 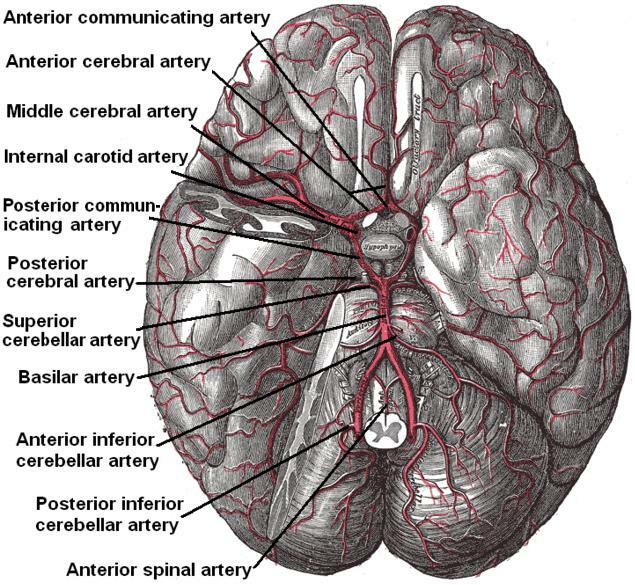 Blood flows mainly to the brain and heart and other organs and suffering. This may cause kidney failure, liver, gastrointestinal dysfunction, then if there is no correction of oxygen deficiency but also failing heart and leads to central nervous system. The evaluation was carried hypoxia happens best combination of diagnostic methods. The evaluation is conducted obstetrician, a pediatrician who together decide on the next steps and treatment of mother and child. In chronic hypoxia obstetrician considering all factors for pregnancy termination. The main thing is comprehensively assess the condition of hypoxia in terms of both the fetus and the mother. In acute hypoxia during labor obstetrician then quickly recall the fetus. Sometimes it is necessary to use obstetric forceps or vakuukmextraktor (suction cup that fits on the head of the fetus and help header under pressure from the birth canal). Sometimes it is necessary caesarean. After birth, the newborn asfyktického pediatrician begins CPR. The main thing is prevention. Therefore, expectant mothers should regularly attend antenatal clinic. Pregnancies that are called. Risk either by the mother or fetus are carefully monitored risk counseling. The fact that the expectant mother should behave towards one another and fetal nejohleduplněji what is commonplace. Mom should self monitor fetal movements, concerns mainly borne children. When in doubt may then apply to your gynecologist. It is always better to be sure rather than miss something.